"...Extraordinary: Gibbs has popped the hood and taken apart the engine of commercial design and development, showing us each individual part and explaining fit, form and function." "...the most comprehensive and expansive book ever written on the subject of Retail Real Estate Development. Gibbs is by far the most prominent advocate for reforming retail planning and development in order to return American cities to economic and physical prominence." The retail environment has evolved rapidly in the past few decades, with the retailing industry and its placement and design of "brick-and-mortar" locations changing with evolving demographics, shopping behavior, transportation options and a desire in recent years for more unique shopping environments. Written by a leading expert, this is a guide to planning for retail development for urban planners, urban designers and architects. 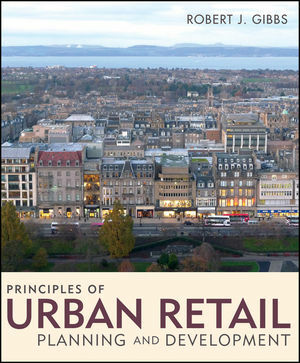 It includes an overview of history of retail design, a look at retail and merchandising trends, and principles for current retail developments. 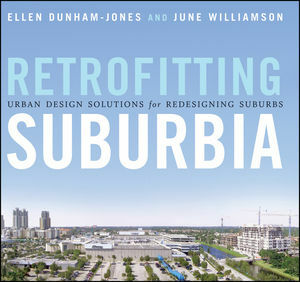 Provide insight and techniques necessary for historic downtowns and new urban communities to compete with modern suburban shopping centers. Promote sustainable community building and development by making it more profitable for the shopping center industry to invest in historic cities or to develop walkable urban communities. Robert Gibbs (Birmingham, Michigan). Over the last two decades, Robert J. Gibbs has carved out a niche as one of the nation's foremost urban retail consultants. President of Gibbs Planning Group (GPG), and a founding member of the Congress for New Urbanism, Gibbs is at the forefront of the industry in his ability to successfully distil retail and merchandising principles for reviving retail in moribund downtowns and for instilling successful commerce in new ones. GPG has provided residential and commercial development consulting services to more than 200 communities, helping to develop and redevelop over 400 cities and 300 new centers across North America, the Pacific Rim and the Caribbean. Gibbs is a frequent public speaker, and teaches an annual course on "Retail Planning and Design Principles" for Harvard University's Executive Education Program.